Chicken, Chicken Meal, Pearled Barley, White Rice, Chicken Broth,Sweet Potatoes, Chicken Fat, Dried Whole Egg, Potatoes, Pea Protein,Dried Tomato Pomace, Salmon Oil,Chicken Liver, Flaxseed, Carrots,Broccoli, Cauliflower, Apples, Chicken Cartilage, Taurine, DL-Methionine,Potassium Chloride, Cranberries,Blueberries, Salt, Chicory Root Extract,Alfalfa Sprouts, Yucca Schidigera Extract, Sodium Selenite, Folic Acid,Parsley, Sorbic Acid (Preservative),Vitamins, Minerals, Probiotics. 2½ lb, 5 lb, 15 lb. 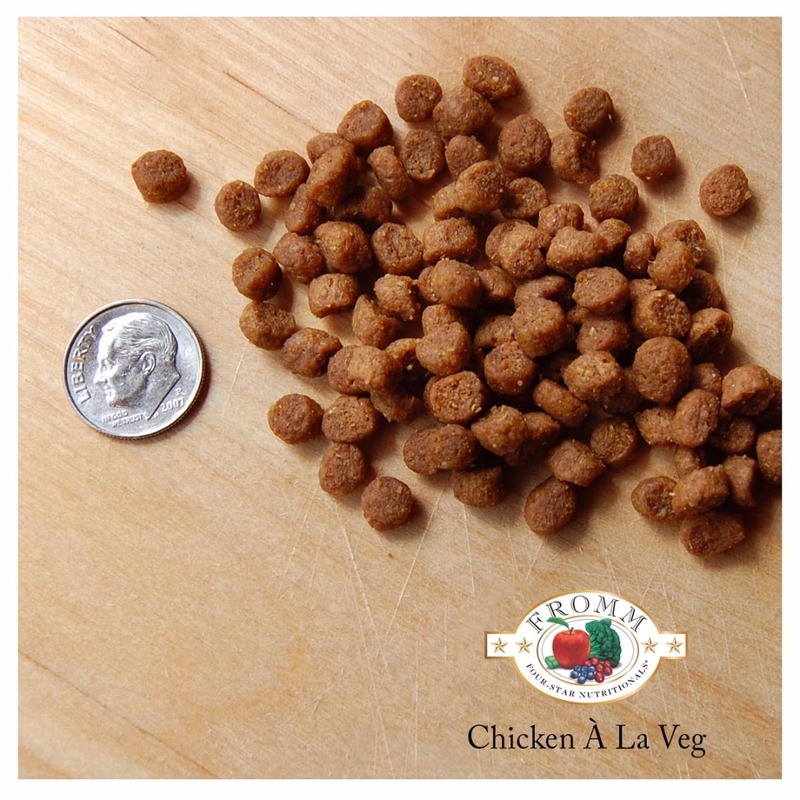 Fromm Four-Star Nutritionals® Chicken À La Veg® Food for Cats is formulated to meet the nutritional levels established by the AAFCO Cat Food Nutrient Profiles for All Life Stages.